A gathering of scientists in Brussels has proposed that our Earth is one of many occupying different streams of time, and that our stream of time – once in the normal temporal flow – has dramatically verged into a bizarro stream that it’s paramount we escape. A gathering of real scientists in Brussels this week has concluded, after months of careful analysis, that the reality we are currently experiencing diverged from the normal timestreams in which it usually resides, and veered into a “bizarro” timestream sometime around mid-June of this year. 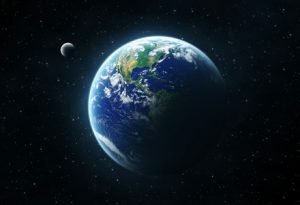 The Brussels conference was called on relatively short notice, to discuss how the planet had found itself in this situation, and how we might remerge with the “normal” timestream. “As you all know, Hillary Clinton is President of the United States, Britain is part of the European Union, and Australia is located in the Atlantic Ocean roughly halfway between South America and Africa,” said theoretical physicist Lawrence Krauss, speaking on behalf of the conference. “These are well established facts of history and geography, but if you’re hearing, reading or watching me speak right now, this is not the reality you are currently experiencing. “That’s because these are facts of the normal timestream, that many of us will be accustomed to, and may even have detailed and vivid memories of. We were once a part of this timestream. Krauss discussed at length many more of the things that were not as they should be, such as Britain having voted to leave the European Union, Leicester City being Premier League champions, John Key no longer being Prime Minister of New Zealand, and Australia not changing Prime Minister at any point in the current year. Scientists in Brussels had agreed that while not all of the bizarre events of 2016 occurred after June, some events prior to June may have been signs of temporal instability, or perhaps even catalysts. Those at the conference agreed that we who occupy this reality could not afford to stay in the bizarro timestream for much longer, and should certainly not expect 2017 to be any less eventful. In line with the theory that Leicester City may have set in motion slippage into the bizarro timestream, the conference has suggested we should attempt to return to the normal timestream by setting in motion a highly usual event, such as people collectively deciding not to listen to scientists.